Congratulations are due for Georgina Burton who was selected to give a 3 minute talk, followed by poster presentation at The Undergraduate Interdisciplinary Research Internship Scheme (IRIS) showcase on Wednesday 30th January. 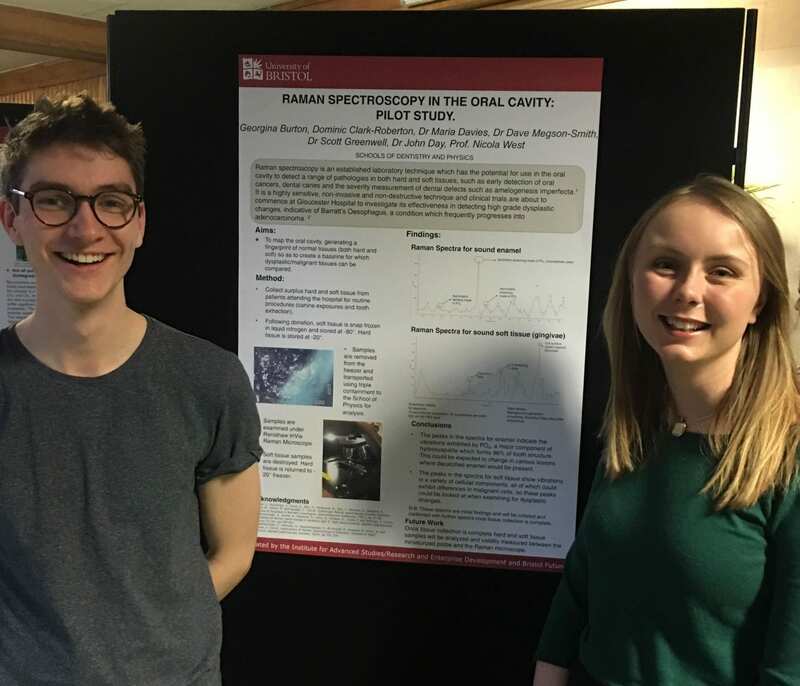 Georgina Burton and Dominic Clark-Roberton, both dental students, worked with The School of Physics in the summer of 2018, using a miniaturised Raman probe to record clinical health of both soft and hard oral tissue in vitro. Joint supervised by Dr John Day, Physics and Professor Nicola West, Clinical Trials Unit, Bristol Dental Hospital, IRIS is a catalyst for promoting new interdisciplinary research across the University. ← Previous Previous post: Bristol SU Elections: Nominations open!